Fireplaces Plus is an authorized dealer and has factory trained installers of Davinci products in New Jersey. Our staff is fully trained on all aspects of DaVinci products and understand your needs especially along the Jersey Shore, Ocean and Monmouth County. A DaVinci fireplace is more than just a fireplace, it’s a statement. The DaVinci See-Thru Linear Gas Fireplace is a highly customizable fireplace that will bring a bold, elegance to your home. 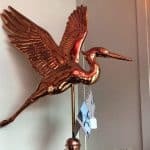 This award-winning fire stands out due to its modern aesthetic, heavy-gauge steel construction and technical excellence. 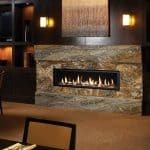 These fireplaces are ideal for residential and high-traffic commercial use! Safety is key when it comes to fire; DaVinci’s see-thru fireplaces have ensured that. Their fireplace’s exterior is cool to the touch due to the outside air that is ducted to the fireplace. Not only does it make the fire safer but it eliminates the use of expensive non-combustible building materials and gives you the freedom to finish right up to the edge of the glass with any building materials you find suits your style. These materials include sheetrock, wood, tile or stone! 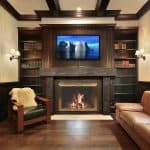 So many people want their fireplace to be the center of the room, the focus point and often they like to mount their television on the mantel above the fire. Often, this can cause issues because of the way the heat from the fire is dispersed. TV’s have to been high enough away from the fire to be safe. With the DaVinci, you have the ability to install a TV anywhere, including right up to the edge of the glass without any mantel restrictions. Trying to set the mood? DaVinci’s platinum crushed glass floor is under-lit with vibrant colored LED lights that elevate the whole fireplace when lit. The bursts of color add a unique glow to the flames and reflect off the glass, giving a more dramatic presence. The endless array of colors are at your fingertips. If the bright colors are a bit to vivid for you with the platinum crushed glass, DaVinci offers black crushed glass or rock ember options. To ensure that you fireplace is fully customized for your space you can choose from a variety of options to make it your own. For liners, which add a dramatic backdrop, DaVinci offers black paint finish, silver paint finish, black porcelain finish, and black glass. There is the option for trim work such as, bronze ironworks, patina ironworks, and 2” wide black painted. While this fireplace is more for looks and less for heat, you can purchase a heat exchanger kit which allows you to vent heat into the room where the fireplace is. 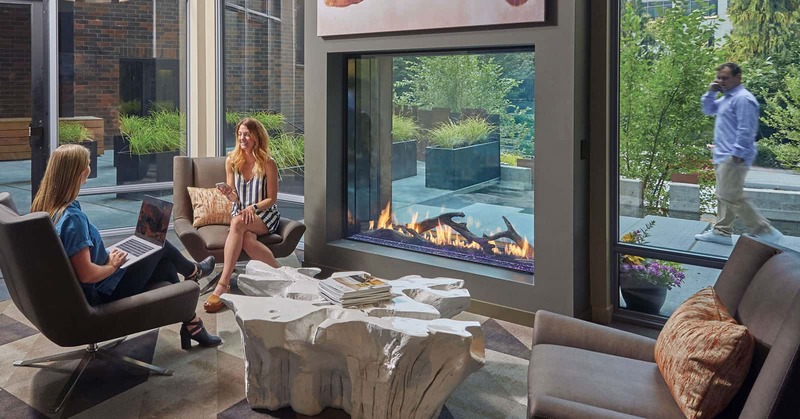 For the ultimate talking piece, the see-thru linear gas fireplace has been approved for indoor/outdoor installation, allowing you to enjoy your fireplace from inside your home and out. If you are looking for a more artistic piece, DaVinci offers transitional Fyre-Art options which are crafted pieces that offer detailed and realistic medias. The options include a traditional log set, a driftwood log set, a birch log set, a twig and stone set, a bamboo log set and a tumbled stone kit. They also offer a wide range of models and heights, allowing you to create your dream fireplace with almost any design configuration. With endless breathtaking features, this fireplace is quite the beauty. To see one in action, head down to the Fireplaces Plus showroom and enjoy the major of the DaVinci Collection See-Thru Linear Gas Fireplace!